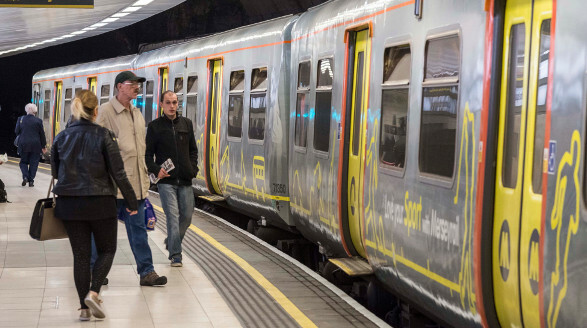 Merseyrail has announced that its ticket prices will increase by an average of 2.9% in January, ensuring that it still offers some of the lowest fares on the railway. If you're a pensioner don't you qualify for free travel on Merseyrail, in which case any price increase won't affect you? Only Off Peak, if like me it saves me about 20p a day buying a single instead of a return, it also negates any benefits of buying longer term tickets. Family member going back to London from Preston yesterday, £91.50 single. Nationalise !!! In the summer of 2017 I managed to pre-book a friend's ticket from Lime Street to London returning 2 days later for £40 return (2 singles). Even with just a few weeks or days notice you can get better deals. No wonder you paid £91.50 single buying your ticket on the day. Assuming you know you're travelling booking ahead in advance is by far cheaper. I found £47 return to London from Southport, I looked at first class and it was £7 dearer so went 1st class, with the lounge at Lime St & Euston with complementary tea, coffee water & snacks, on board a meal with wine, tea & coffee it was well worth it. Advance bookings are often available up to an hour before departure, it is also worth checking split ticketing on websites such as http://www.raileasy.co.uk/ also don't forget the cashback websites such as Topcashback and Quidco. So speaks someone who clearly wasn't around the last time the railways were nationalised. The Nationalised Railways were far better than the ones today, the modern ones are more are cleaner but no more punctual, overcrowding never occurred to the extent it does today as they just put another carriage on and cancelations seldom happened as nobody worried about a leaf on the line. Now there's a classic socialist example of re-writing history if ever I saw one. Where I would concede is that cancellations were more of a rarity, but that had far more to do with the fact that a nationalised British Rail was never averse to employing three people to perform one person's job. That's nationalisation for you in a nutshell. So in a nutshell a nationalised service employed the right number of people to keep the service running as planned whilst a privatised service employs as few people as possible to protect profit margins and keep shareholders rather than passengers happy. Privatised services also rely on the willingness of staff to regularly work overtime to keep the service running so whenever there's a dispute the staff don't even need to strike to bring the service to its knees, they just refuse the voluntary overtime. That is part of providing a comprehensive service, having capacity, it is also highly preferable to having vast numbers of unemployed.